Evergreen 9 is a stylish modern infill project just off 7th street and the I-10 freeway in Downtown Phoenix. Adjacent to it’s sister community Willetta 9, Evergreen 9 was a development collaboration between architect Michael Underhill and JAG Development, a familiar local developer. 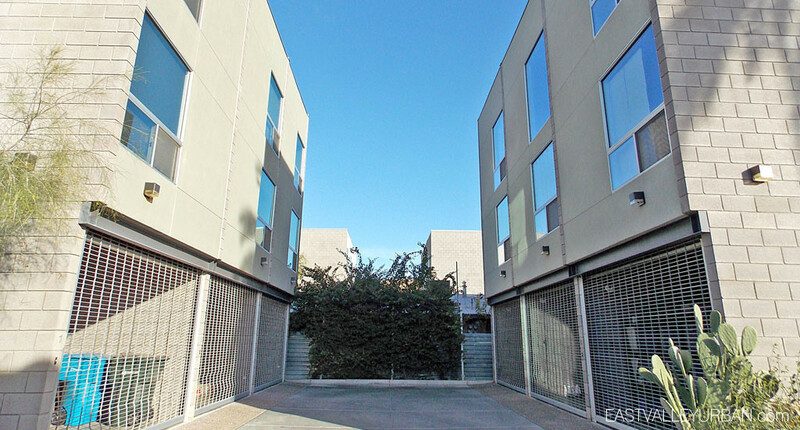 This community features nine three-story townhomes encased within sandblasted concrete block, featuring an oversized one-car garage with a really unique aluminum coil garage gate. Within the home, sealed concrete flooring meanders throughout as a mix of corrugated metal and natural wood beams and paneling complete the ceilings. Large windows allow for natural light to flood in and fill the twenty-foot ceiling height, while european influenced cabinets and appliances in the kitchen tie the home together. 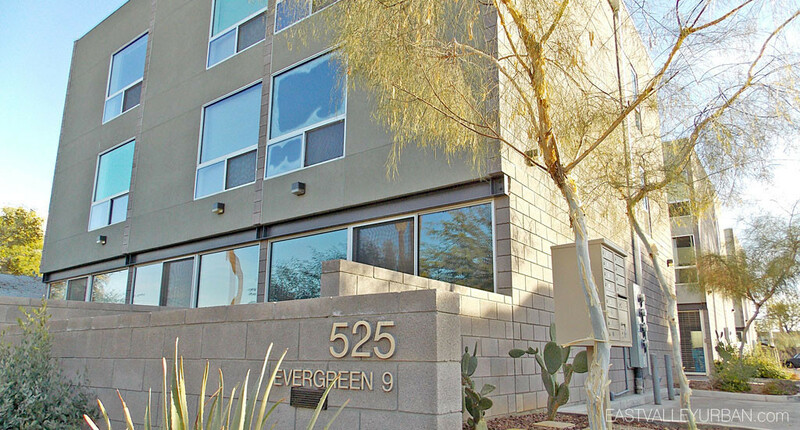 Evergreen 9 is a stylish modern infill project just off 7th street and the I-10 freeway in Downtown Phoenix. Adjacent to it's sister community Willetta 9, Evergreen 9 was a development collaboration between architect Michael Underhill and JAG Development, a familiar local developer. This community features nine three-story townhomes encased within sandblasted concrete block, featuring an oversized one-car garage with a really unique aluminum coil garage gate. Looking to sell a property at Evergreen 9?